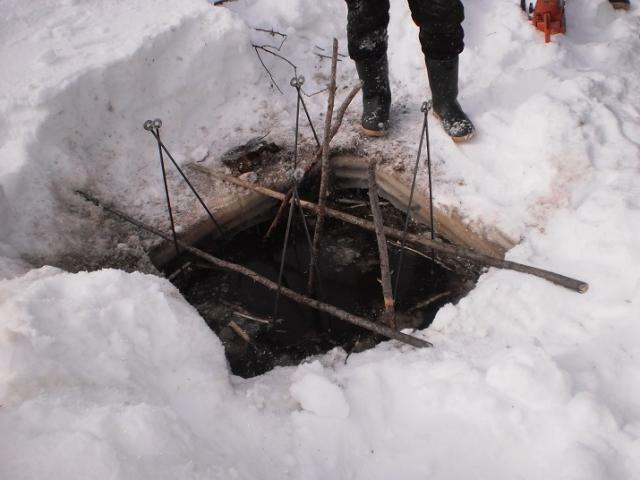 I posted this on the main forum,but thought some of the guys on this forum may be interested in our under ice beaver methods.We spend about 20 minutes or less setting up a beaver house.These houses were located by aerial survey in Nov,and the trails were made in advance to setting and houses checked to make sure they still had beaver. We set 6 houses in just over 2 hours on Mar 03 and checked on Mar 09. 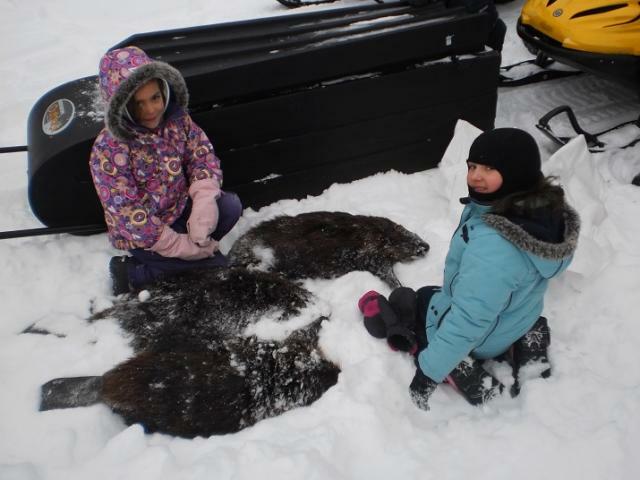 On the march 09 check we made it an educational field trip for trappers,conservation officers and the general public and kids. 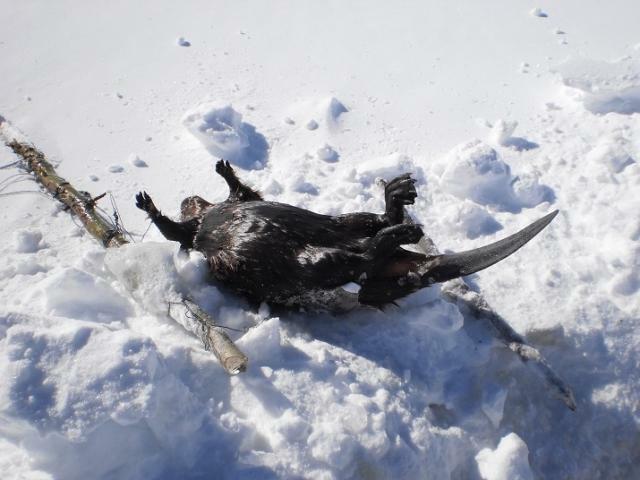 The ice was thicker than normal this year-about 14 inches in the runs.We wound up with 14 beaver out of 18 traps set. A couple houses were re-set for a second check then pull. Last edited by Boco; 03/11/14 10:38 AM. I sure wish that would work here and in some places it might. 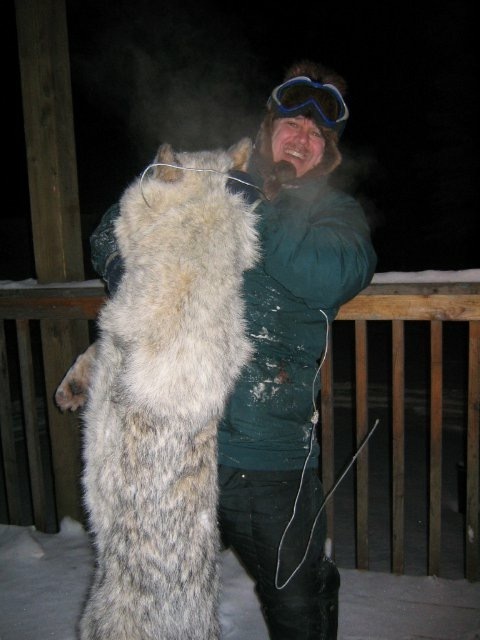 We tried snaring three different houses this year and nowhere was there less than 40 inches of ice. Must not get as cold or overflow as much in your neck of the woods. 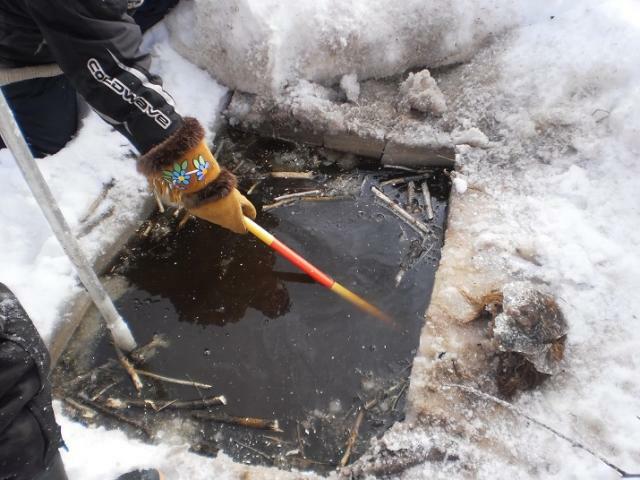 We had lots of cold weather this year White,from early December until about a week ago it was mostly minus 40c all winter.The thickness of the ice really doesn't matter unless it freezes to the bottom,you just need a longer bar and chain. Do you cover the holes and bank them up with snow White? 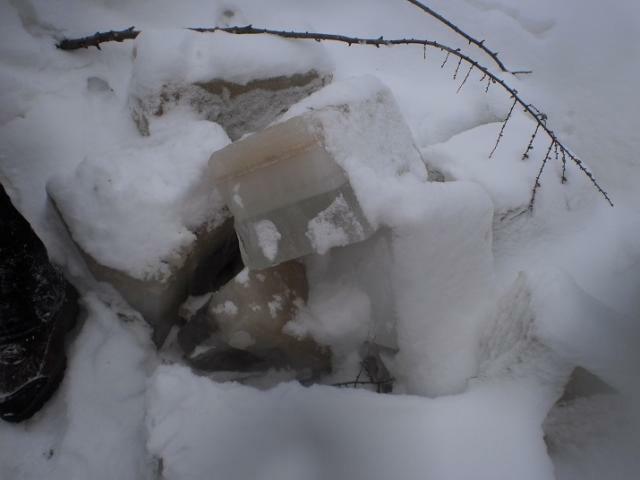 Chiseling thru more than 6 inches of ice is a pain allright. Last edited by Boco; 03/11/14 10:45 AM. 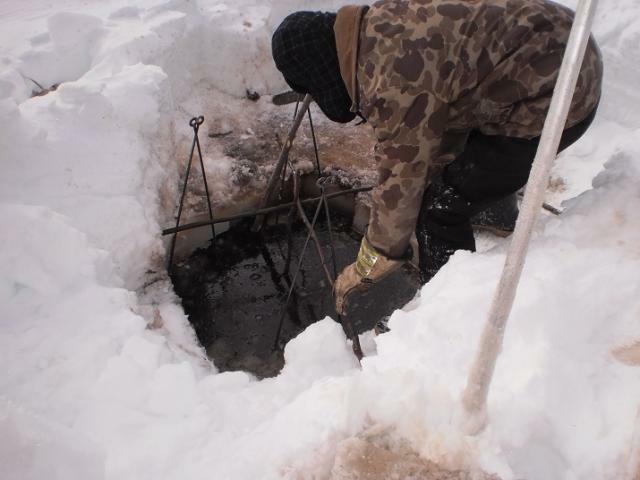 From now until april is usually the best time for under ice trapping as we will soon get a crust on the snow and the ice should not be forming as much at night now. Maybe you would have to wait a couple weeks later there. 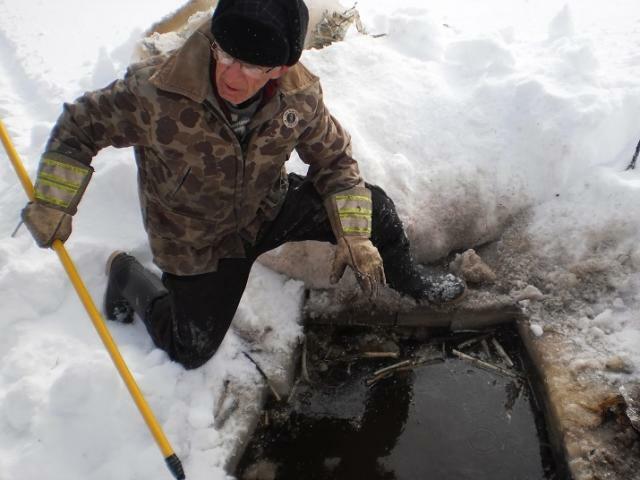 One problem we encounter is the ice hung up near the house and no water near the house.We usually just leave those for seed but if you find water near the feed bed you can snare them there. Last edited by Boco; 03/11/14 10:52 AM. 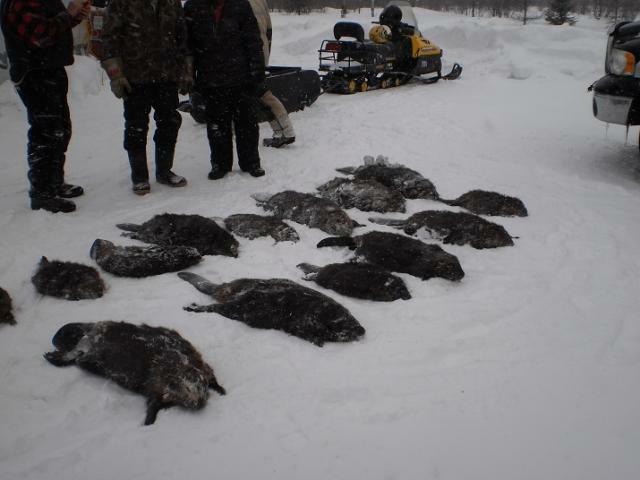 How many beaver did ya pull out of the house with the four in front? Did you have all the traps on the same level with them in front of each other? or staggered with some high and some low? Good job! Yeah we cover them when we can. Problem this year is that all the snow had turned to ice during the chinook. 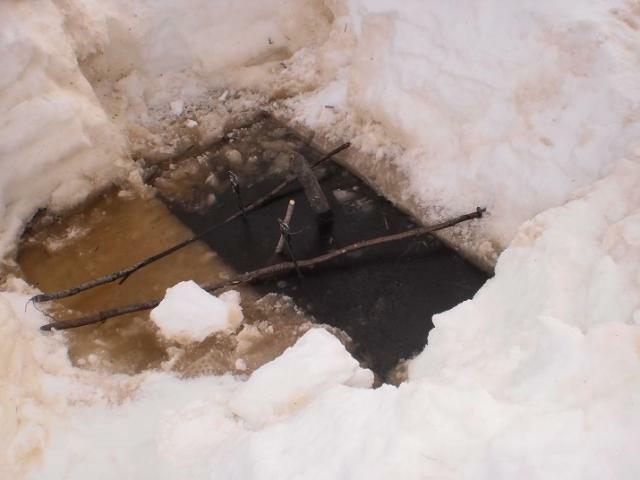 the problem in my neck of the woods would not be the thickness of the ice though I do see some 40 inch thick on a cold year it is the depth of water in front of the houses tends to be as much as 6-15 feet deep where the runs come out. It would be real nice if I could use coni stabilizers like that for sure. I have two stabilizers I seldom am able to use and when I have the proper depth I tend to have them laying at home. Last edited by otterman; 03/11/14 10:56 AM. 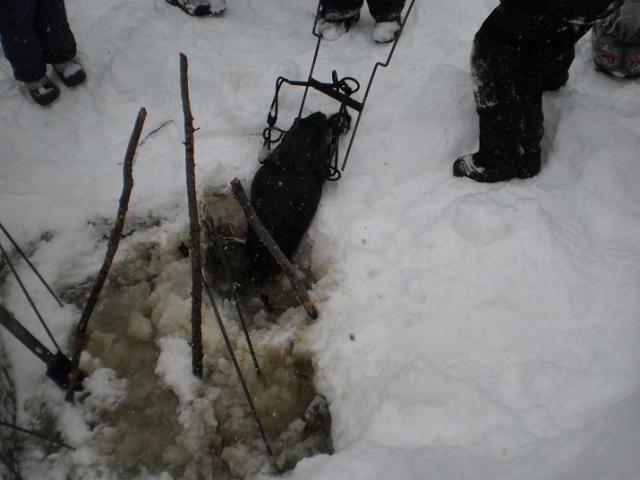 3 beaver out of the 4 and 3 out of the 3 side by side.All traps are set on the bottom in the entrance run. 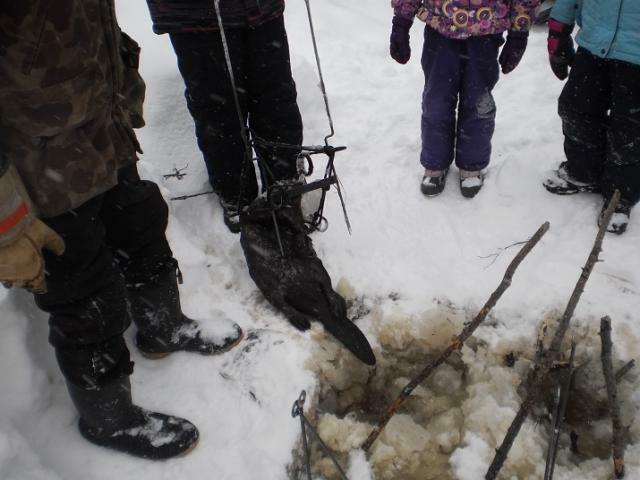 You only need to set one hole as all the beaver use all their holes to both exit and enter the house. 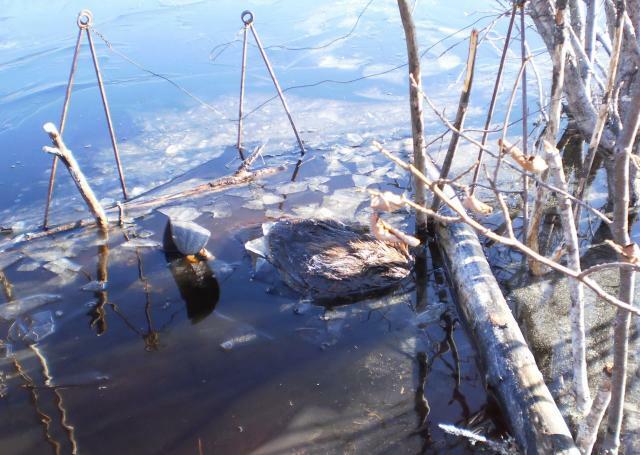 In winter beaver move slow when entering and exiting the house but follow the entrance run.When they encounter an obstruction in the run they detour around and go back in the run.Beaver are caught both entering and leaving. 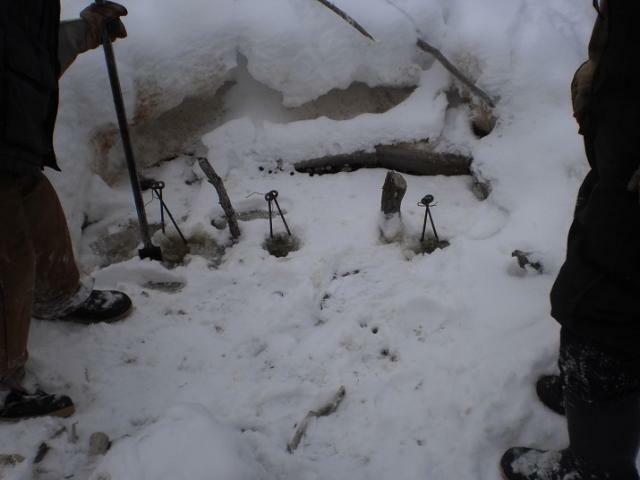 If you look at the pics close you may be able to see the block sticks between the traps that are set side by side-this prevents one beaver from setting off the trap beside it.The ones in front are just far enough apart to prevent one caught beaver from firing the trap in front. You can see one house the water comes almost to the top of the trapstands.In deeper water we just use dry tamarack poles as a trapstand,about 10% of the houses will be too deep for the metal trapstands. 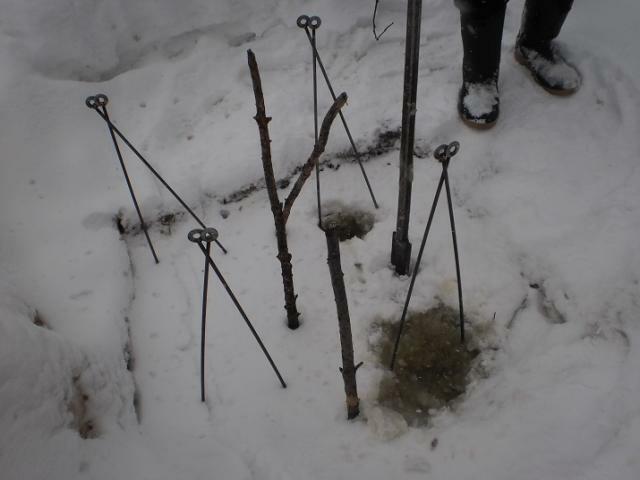 Most guys use the tamarack poles,but for efficiency in setting we made some stands a foot longer than the commercial ones that could be used in about 90%of the colonys here. Last edited by Boco; 03/11/14 11:05 AM. 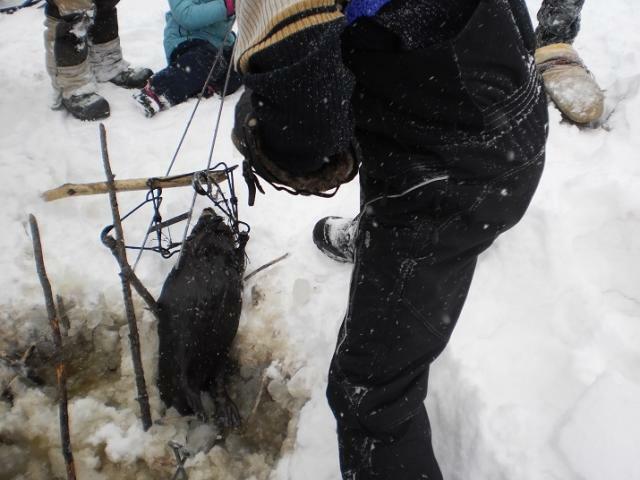 otterman, have you ever hung your traps with wire? Thats how I do it.....seldom ever use poles or stabilizers of any kind.....just hang 330s in the runs just off the bottom. 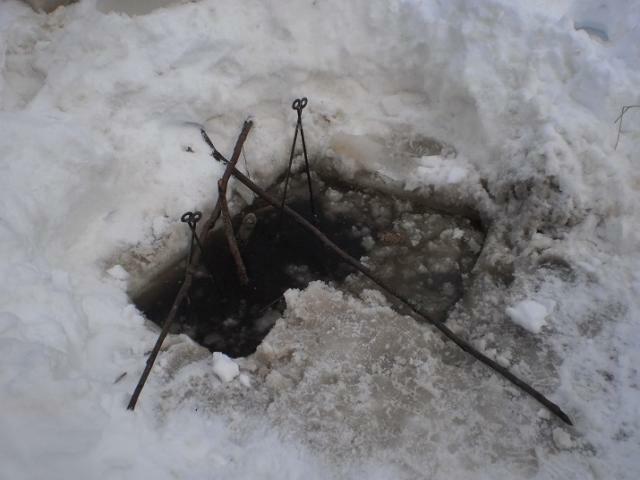 To understand where to put the block sticks-take two 330's side by side close together,now where would you put a stick to prevent a neck caught beaver from twisting itself around(traps are solid)and firing the other trap with its back leg or tail.Since you don't know which direction the beaver will be going you need two. 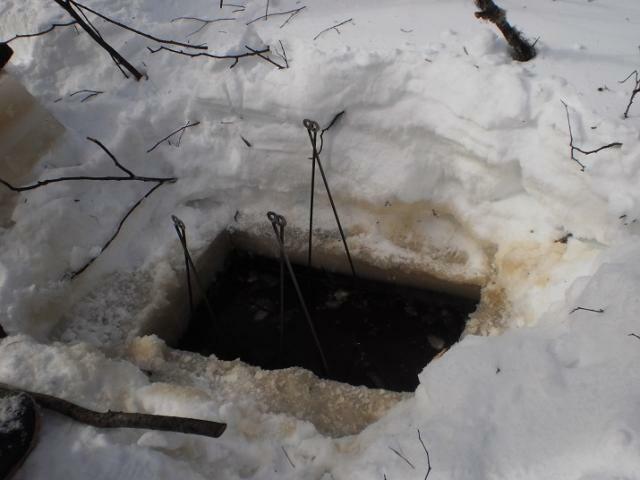 I always set beaver traps this way(multiples)whether at the den entrance,a dam break,or a wide channel under ice as well as open water.Why only catch one when you can catch 3 or 4 at the same set at the same check. Last edited by Boco; 03/11/14 12:26 PM. Good stuff Boco! 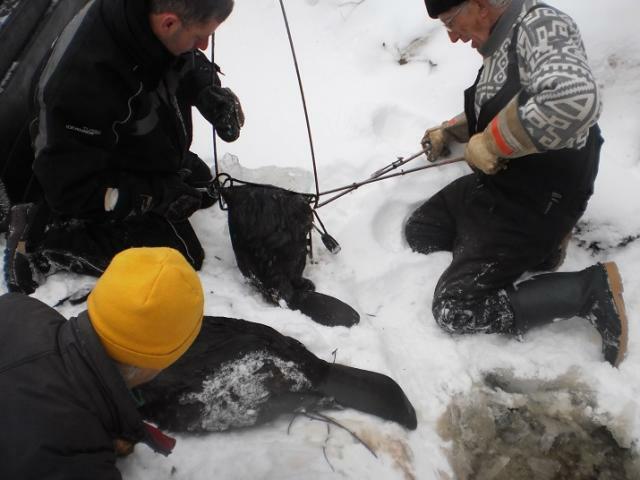 My favorite under ice set is snares around the feed bed in the fall when the ice is only inches thick. Like W17 and others here my ice gets to thick to make it worth the trouble this time of year. 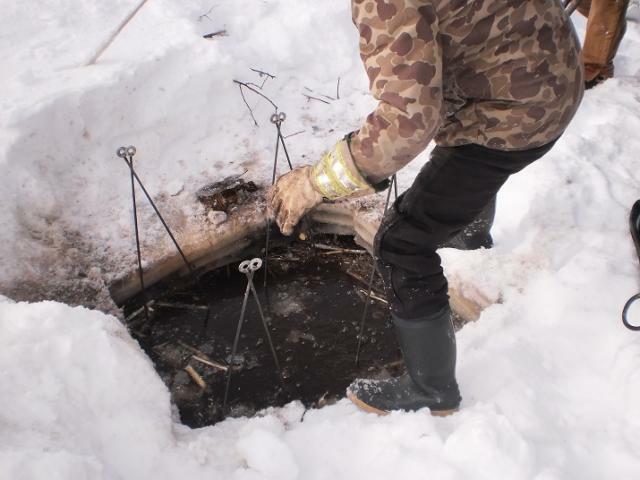 When you have the plan,equipment and preparation,it is really quite efficient.The best thing is you don't have to carry anything-ride right up to the worksite and drive away with a load of beaver. I realize everywhere is different,but some of these methods may be useful there with some modifications.